Sick of your child asking for yet more Shopkins things? 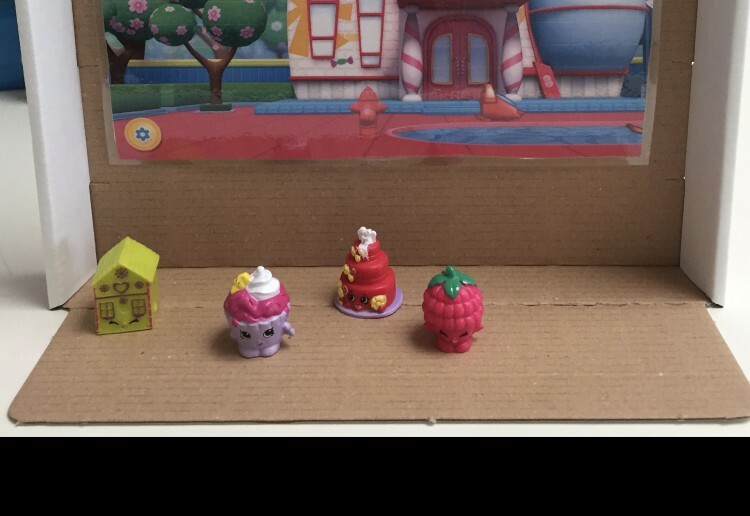 Help them make a Shopkins city with objects you have around the house. Best bit – they’ll be creative making this set and creative playing with it. Google Shopkin pictures from the internet and print out backgrounds your child likes. Laminate and then trim the pictures for durability. Blu-tac the backs of the pictures and press firmly onto a flat side of the box. I used an Ikea train track box but any box will work. Cup of soup boxes also work well. You may need to either trim the pictures or trim the box to fit. Notes... Alternatively, you could step up your child's creativity and get them to draw a set. This isn’t our thing, but my niece would like this. and the best bit is when the kids have moved on from this phase (which they will), you can just recycle it! Lots of fun to make and lots of fun to play with later. Thanks for sharing. Adds a different element of fun. A very cute creative idea,thanks! I think you could do this for anything your kids are in to as well. We are going to make a Thomas one for my son. Nice project. No need to spend a fortune on bought play houses when you can make your own. Thank you. Exactly! and when they’re finished playing with it you can recycle it. Save the world from plastic!